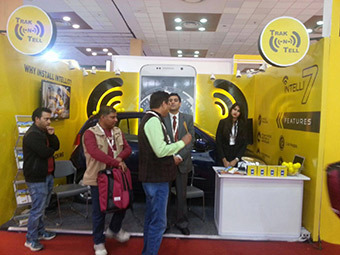 Description: At the Auto Expo 2016 held Feb 3-8, 2016 in Greater Noida, India, Trak N Tell celebrated the safety week dedicated to road safety and educating people about the ways to secure their car and family. The huge response and curiosity displayed by people at the event helped us spread the message to larger audience, serving the purpose to its best. © 2009-2016 Trak N Tell is a registered trademark of Bits N Bytes Soft Private Limited. All rights reserved.